to join a muddy creek. This entry was posted in Photographs, Poems 2017, Ranch Journal and tagged Dry Creek, photography, poetry, weather, winter. Bookmark the permalink. We are miles North of you, Auburn area. 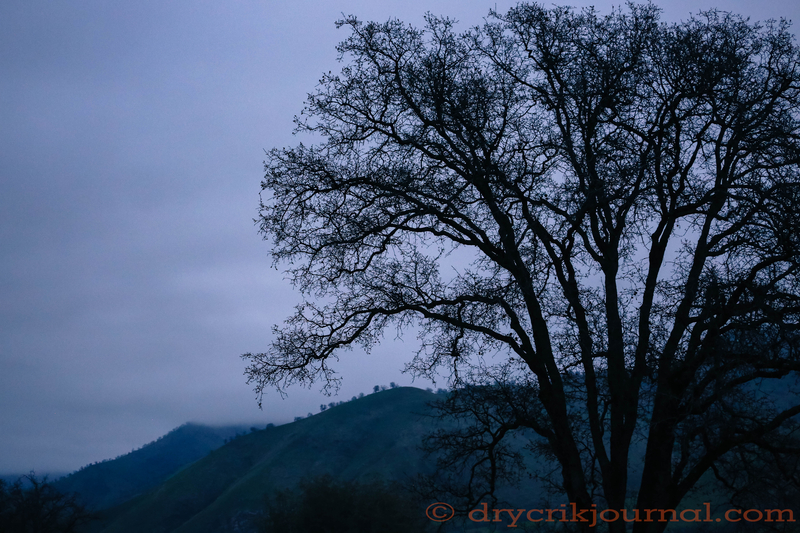 The American River Canyon, North Fork, is shrouded in the same Sierra Foothills fog. 33 degrees my car’s thermometer has a snowflake pic beside it. If it were to rain we would have snow. But there is sunshine above the fog. My burn pile is too wet to burn, I have the permit ready, if it drys out.